Business owners have a lot on their plate. In addition to making sales and attracting customers, they also need to consider taxes and deducting expenses for things like office paper. One area of taxation that business owners may not be familiar with is depreciation. This is not something individuals can deduct. Business owners should use the depreciation formula in order to maximize their tax deduction. This post will provide you with a brief overview of the depreciation formula and what it can do for your business. Depreciation is term used to describe the effects of wear and tear on particular items over the course of time which, in turn, affect the item’s monetary value. For example, when you purchase a car, the vehicle’s value immediately depreciates once you drive it off the lot, and continues to steadily do so over the years you drive it. The useful life of an asset depends on its property class. Property class is determined through industry or personal experience, or through the IRS Publication 946. Now that you know what depreciation is, you can determine how to use the depreciation formula and what it means for business. The best thing about the depreciation formula is that it can save your business money. Assets purchased for the business lose value over time. You are able to deduct this loss when filing taxes. This allows you to offset your tax burden to the IRS, thereby saving you money. It is crucial in the early stages of a business. However, it should be used by all business owners alike. Think about how much money you can save by using the depreciation formula. If you do not value it already, you definitely will now. The depreciation formula is most commonly used as a straight-line depreciation formula. The straight-line depreciation formula involves taking the initial cost of the asset and dividing it by the number of years the asset will be used. This will determine the annual depreciation. For example, a $50,000 vehicle that has a ten year life would have an annual depreciation of $5,000 (50,000/10 = 5,000). Sometimes, business owners are allowed to use the accelerated depreciation formula. This encourages business owners to invest in new assets because they are allowed to depreciate the asset at a higher rate in the first few years. Check legislation to find out which depreciation formula is most appropriate when you plan to deduct depreciation expenses. Not all business owners have their own accountant or understand common financial definition terms. 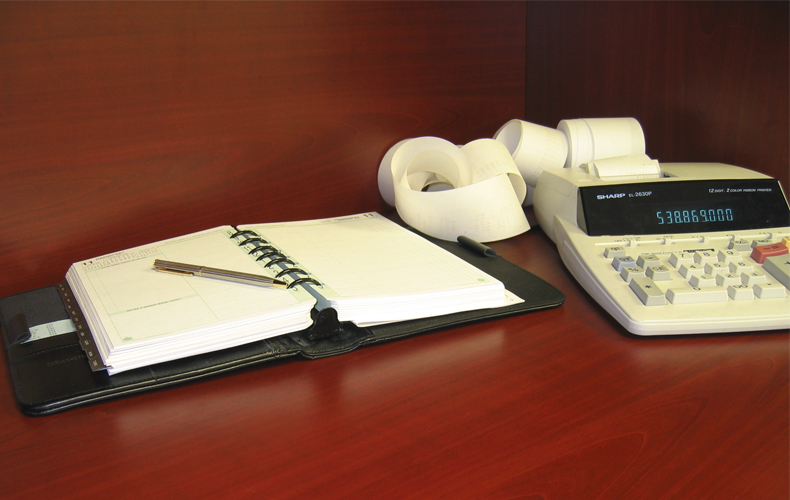 However, even those that do should be familiar with the fundamentals of accounting. Using the depreciation formula to consider how much value an asset might lose is a helpful way for business owners to practice accounting. It is a relatively simple formula that gets you thinking about loss over a period of time. Use the depreciation formula when purchasing an asset and when filing taxes to practice your accounting skills. This will provide you a better understanding of how your business performs as whole, both now and in the future. Using the depreciation formula gives business owners an idea of how much value an asset loses over time. This can be helpful when considering purchasing a new asset for the business. If you are replacing an asset with an identical one that is no longer usable, the depreciation formula should be the same. If you decide to buy a more expensive asset next time, the depreciation formula will help you determine how much loss you will incur each year on this asset. That knowledge may affect your buying decision. The depreciation formula is a useful tool to consider when contemplating future asset purchases for the business. Some vehicles and equipment can be sold off when you have finished using them, according to experts at Liberty Tax. The amount for which you sell a used asset is called its salvage value. If you depreciated the asset to zero and sell it, the amount you receive must be reported as income. Not all assets have no value at the end of their life, however. If you expect to sell an asset later you must account for this. Business owners should analyze the potential to sell an asset as salvage when using the depreciation formula. Business owners can deduct depreciation when accounting for business expenses, as long as the asset is expected to be used in the business for more than one year. There are a number of good reasons why business owners should use the depreciation formula when filing taxes. Remember this post when you are looking to purchase an asset for your business and when it comes time to file your taxes.You will be happy to reap the benefits of a depreciation formula.